1. Hold 72 pairs of eye glasses. 3. Customized Graphics at the end and head of displays. This glasses cardboard display sit in the front of eyewear shop or supermarket to occupy best reatil point of sales position and encourage customer to purchase. Any custom shape, graphic, dimension of cardboard displays are available. 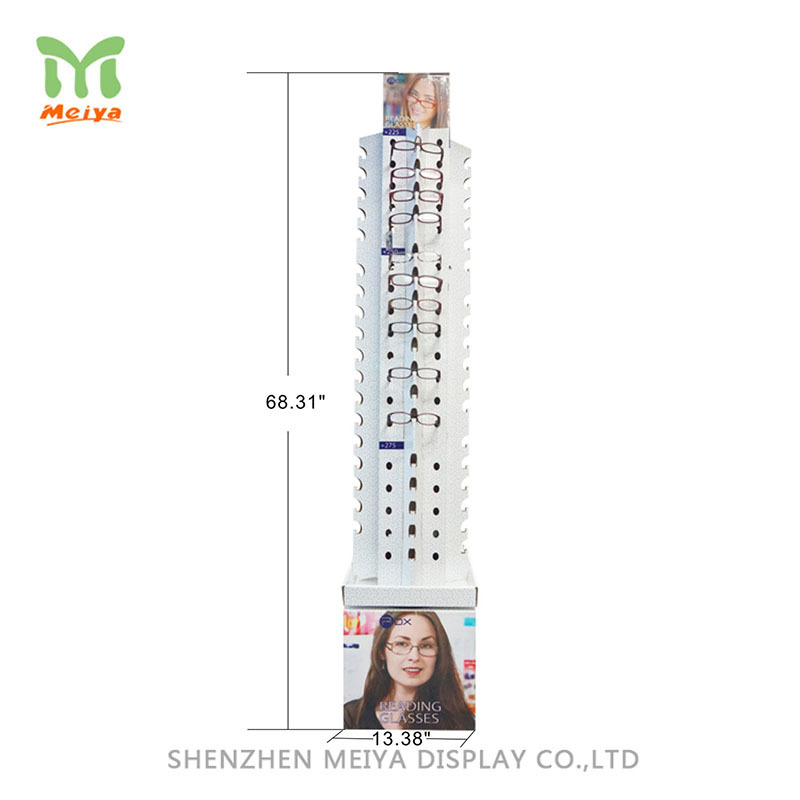 Meiya Display is an expert who design, manufacture cardboard displays for 13 years, most of cardboard displays are exported to USA, Europe, Canada, Australia and more.